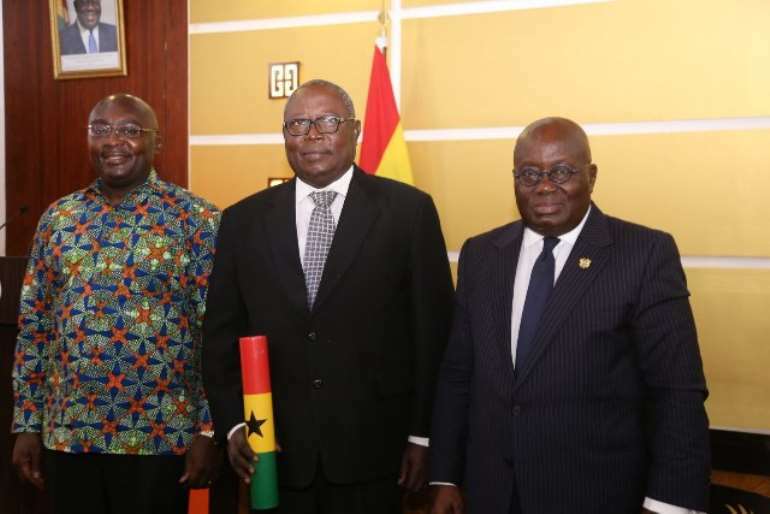 Former Attorney-General Martin Amidu has been sworn in as the country’s first Special Prosecutor with a promise to prosecute crime without fear or favour. At a ceremony held at the Flagstaff House Friday, the anti-corruption campaigner said his resolve to combat corruption will not be dampened by propaganda about witch-hunting. The Minority in Parliament had expressed fear the Office of the Special Prosecutor may be used by the government as a tool to prosecute its political opponents. 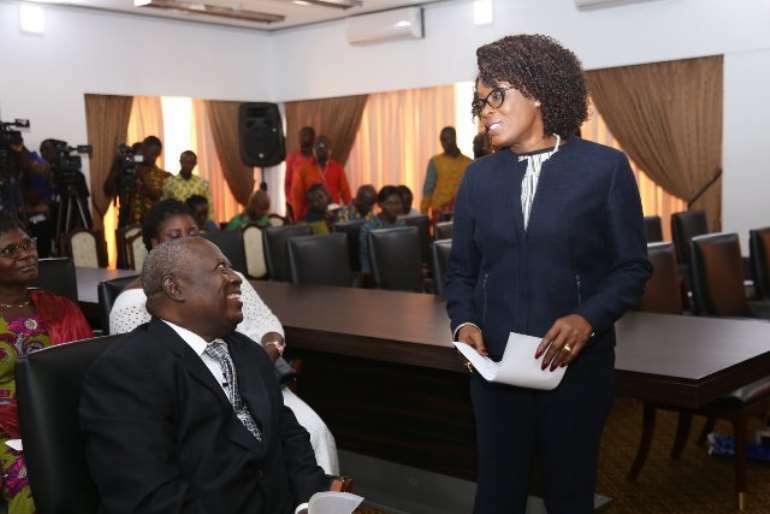 The National Democratic Congress (NDC) lawmakers said former government appointees would be the target of the Prosecutor. But some political experts described the opposition lawmakers’ claims as a ruse to stay the hand of the government in prosecuting former corrupt officials. Speaking at his swearing-in ceremony, Mr Amidu said he will not be stopped from prosecuting anyone found to have engaged in corrupt acts. “I wish to assure you that the propaganda about witch-hunting will not dampen me,” the Special Prosecutor said. He said he will “treat crime as crime and nothing else” in the bid to vindicate the trust Ghanaians placed on him. Mr Amidu told the gathering he accepted the president’s nomination because he trusted his integrity and promised to exhibit same. Commenting on a suit filed at the Supreme Court challenging his nomination, he said he has not been served a copy of the writ as has been reported in the media. 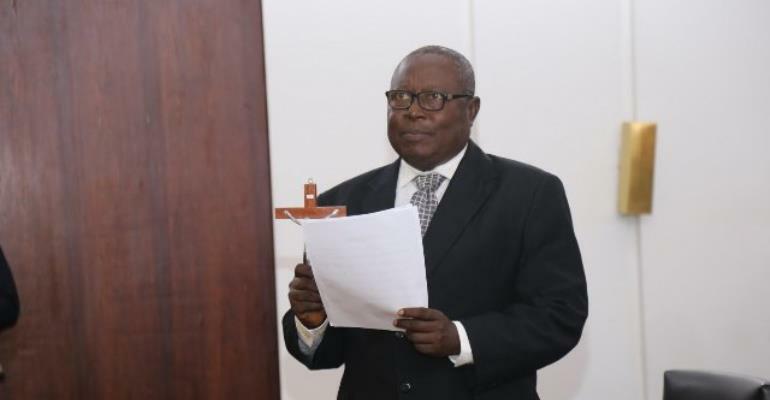 The suit was filed by Bolgatanga East Member of Parliament (MP) Dr Dominic Ayine in which he is seeking to nullify the appointment of the nominee, insisting Mr Amidu, by law is too old to occupy the position. “I wish the public to know that nobody has served me personally with any writ to challenge my approval so as to restrain me from accepting this,” the anti-corruption campaigner said. On his part, president Nana Addo Dankwa Akufo-Addo has called on Ghanaians to assist the Special Prosecutor in the discharge of his duties. 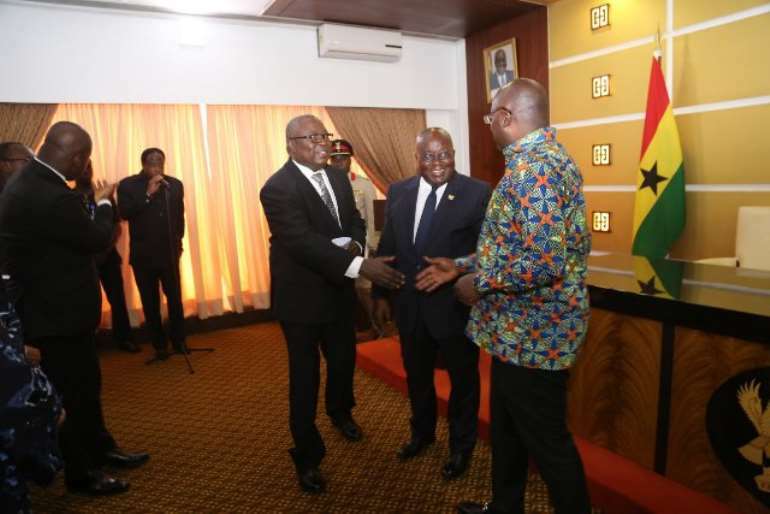 Testifying to Mr Amidu’s tenacity, the president said he and Attorney-General Gloria Akuffo will respect the independence of the Special Prosecutor. “The ultimate beneficiaries of his action will be the Ghanaian people,” the president said.